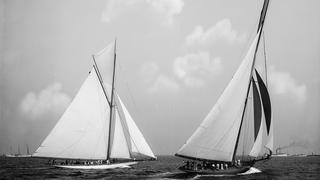 J Class yachts were the original America’s Cup racers. In 1929, tea magnate Sir Thomas Lipton commissioned the build of the first J Class yacht for his fifth and last America’s Cup bid. 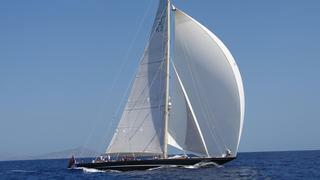 The boat was 36.58 metre Shamrock V, which was the first and only J Class yacht to be constructed in wood. “She was built by possibly the most famous British yachtsmen ever, Sir Thomas Lipton, who tried for years to wrestle the America's Cup from the Americans, culminating in his building Shamrock V,” says Mike Horsley of Edmiston. Amazingly, even though Shamrock V was the first J Class created — designed by Charles Nicholson and built by Camper & Nicholsons — she remains in perfect condition, thanks to many refits over the years. In her most recent upgrade she received two new generators. For the true history buff, the first J Class yacht could be yours. Shamrock V is for sale with Edmiston, asking €6 million. 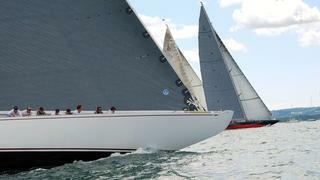 J Class yachts were the original America’s Cup racers. In 1929, tea magnate Sir Thomas Lipton commissioned the build of the first J Class yacht for his fifth and last America’s Cup bid. 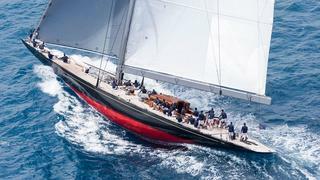 The boat was 36.58 metre Shamrock V, which was the first and only J Class yacht to be constructed in wood. “She was built by possibly the most famous British yachtsmen ever, Sir Thomas Lipton, who tried for years to wrestle the America's Cup from the Americans, culminating in his building Shamrock V,” says Mike Horsley of Edmiston. Amazingly, even though Shamrock V was the first J Class created — designed by Charles Nicholson and built by Camper & Nicholsons — she remains in perfect condition, thanks to many refits over the years. In her most recent upgrade she received two new generators. For the true history buff, the first J Class yacht could be yours. Shamrock V is for sale with Edmiston, asking €6 million. 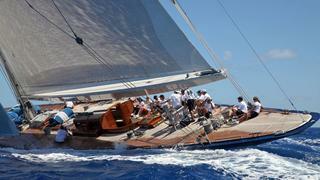 J Class yachts are bred for racing, and it's their one design class that makes them so ideal for the sport. When you see Js out on the racecourse, the first thing that catches the eye — besides their staggering beauty — is that the race is so close! When the J Class yachts started racing in the 1930s, it was under the Universal Rule, which used waterline length, displacement and sail area to control the rating. Nowadays, the fleet is made up of an intriguing mix of refitted originals and new-build replicas, some outfitted with luxurious interiors. 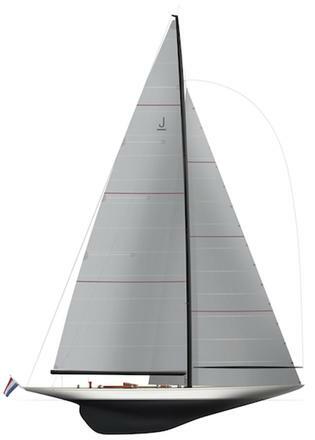 The new J Class Rating takes this into account, using a computational model that considers hull design, mast and sail plan to give each yacht an adjusted time. Even still, the relative difference in performance of Js is small. 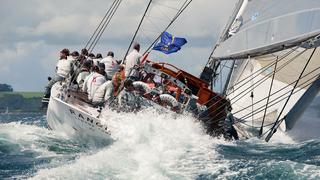 The J Class racing is thrilling, action-packed and always a fight to the finish. J Class yachts are bred for racing, and it's their one design class that makes them so ideal for the sport. When you see Js out on the racecourse, the first thing that catches the eye — besides their staggering beauty — is that the race is so close! When the J Class yachts started racing in the 1930s, it was under the Universal Rule, which used waterline length, displacement and sail area to control the rating. Nowadays, the fleet is made up of an intriguing mix of refitted originals and new-build replicas, some outfitted with luxurious interiors. The new J Class Rating takes this into account, using a computational model that considers hull design, mast and sail plan to give each yacht an adjusted time. Even still, the relative difference in performance of Js is small. The J Class racing is thrilling, action-packed and always a fight to the finish. Or a replica anyway… The original Rainbow and Ranger J Class yachts both held their own, aptly defending the America’s Cup. Harold Vanderbilt invested in J Class yachts to defend the Cup three times, with Enterprise in 1930, Rainbow in 1934, and Ranger in 1937. Although the originals didn't survive the cull for metal in WWII, replicas of both Rainbow and Ranger have since been built, which must be the next-best thing to owning the original winner. The new 39.95 metre spectacular J Class yacht Rainbow was built by Holland Jachtbouw in 2012, based on the original Frank Paine lines of the 1934 America’s Cup winner. Rainbow was sold in 2015. Or a replica anyway… The original Rainbow and Ranger J Class yachts both held their own, aptly defending the America’s Cup. Harold Vanderbilt invested in J Class yachts to defend the Cup three times, with Enterprise in 1930, Rainbow in 1934, and Ranger in 1937. Although the originals didn't survive the cull for metal in WWII, replicas of both Rainbow and Ranger have since been built, which must be the next-best thing to owning the original winner. The new 39.95 metre spectacular J Class yacht Rainbow was built by Holland Jachtbouw in 2012, based on the original Frank Paine lines of the 1934 America’s Cup winner. Rainbow was sold in 2015. The J Class yachts are returning to their rightful home, the America’s Cup. The J Class Association is an active organisation, preserving the interests of the class and organising face-offs at regattas around the world. But the J Class Regatta, set to take place during the America’s Cup 2017, will be the biggest reunion yet — both in terms of historical relevance and in number of Js on the start line, organisers predict. Want to take part in this historical event and maybe win it all? Easy; get yourself one of the Js currently for sale. Ranger, for instance, was known as the “Super J” for her defence against Endeavour, and her replica is for sale with Northrop & Johnson. The J Class yachts are returning to their rightful home, the America’s Cup. The J Class Association is an active organisation, preserving the interests of the class and organising face-offs at regattas around the world. But the J Class Regatta, set to take place during the America’s Cup 2017, will be the biggest reunion yet — both in terms of historical relevance and in number of Js on the start line, organisers predict. Want to take part in this historical event and maybe win it all? Easy; get yourself one of the Js currently for sale. Ranger, for instance, was known as the “Super J” for her defence against Endeavour, and her replica is for sale with Northrop & Johnson. Sleek, slim and seeming to just slip through the water, the J Class yachts turn heads wherever they roam. While they were designed as racing beasts, these boats are undeniably beauties. “One main justification for the hassle and expense of yacht ownership is that almost indefinable pride one feels when approaching one’s yacht at anchor in a beautiful bay,” says Mike Horsley of Edmiston. “There can be nothing in history more pride-inducing than a J!” It's okay to buy one because you think J Class yachts are simply the prettiest things on the water. Sleek, slim and seeming to just slip through the water, the J Class yachts turn heads wherever they roam. While they were designed as racing beasts, these boats are undeniably beauties. “One main justification for the hassle and expense of yacht ownership is that almost indefinable pride one feels when approaching one’s yacht at anchor in a beautiful bay,” says Mike Horsley of Edmiston. “There can be nothing in history more pride-inducing than a J!” It's okay to buy one because you think J Class yachts are simply the prettiest things on the water. As many a classic aficionado can tell you, the joy in preserving and passing on a part of history is a main deciding factor in owning a classic yacht. 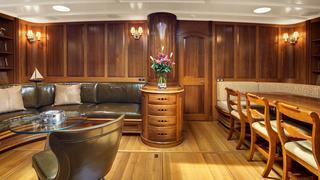 It's no different with J Class yachts. The J Class revival is largely credited to one such history lover, Elizabeth Meyer, who restored the original J Class yacht Endeavour, which was built for Sir Thomas Sopwith. The 39.56 metre iconic Endeavour was the first J Class yacht to be restored. “It was Endeavour that set the original comeback of the whole J fleet,” says Alex Busher of Edmiston. “Elizabeth Meyer should naturally take credit for her energy, enthusiasm and foresight at the beginning of this new [J Class] era.” Endeavour is currently for sale with Edmiston, asking €19,950,000. As many a classic aficionado can tell you, the joy in preserving and passing on a part of history is a main deciding factor in owning a classic yacht. It's no different with J Class yachts. The J Class revival is largely credited to one such history lover, Elizabeth Meyer, who restored the original J Class yacht Endeavour, which was built for Sir Thomas Sopwith. The 39.56 metre iconic Endeavour was the first J Class yacht to be restored. Endeavour is currently for sale with Edmiston, asking €19,950,000. When you own a J Class yacht, you are one of a select few. If your dream is to own a J Class sailing yacht, and even build your own yacht, it is possible to gain entry to this elite and private club by buying your way in and building a J design. Holland Jachtbouw HJB, which launched Topaz in 2015, owns the exclusive rights to build two J Class yachts, Yankee and J9. The Dutch builder has an official partnership with the J Class Association. Designed by Frank Paine, 38.1 metre Yankee was the third American J. She had a nearly straight sheerline and beautiful lines. While she was a sprightly and powerful defender, she never did take the Cup — but her designers Dykstra Naval Architects have optimised her design, and all she needs is for the right owner to bring her back to the life at HJB. HJB also has the rights to build the previously unbuilt J Class yacht J9. Frank Paine drew the yacht as a defender for the last America’s Cup to be held with Js, but she was never built. Hoek Design has now carried out extensive research, which means if and when J9 is built, she is will be a contender on the racecourse and then some. When you own a J Class yacht, you are one of a select few. If your dream is to own a J Class sailing yacht, and even build your own yacht, it is possible to gain entry to this elite and private club by buying your way in and building a J design. Holland Jachtbouw HJB, which launched Topaz in 2015, owns the exclusive rights to build two J Class yachts, Yankee and J9. The Dutch builder has an official partnership with the J Class Association. Designed by Frank Paine, 38.1 metre Yankee was the third American J. She had a nearly straight sheerline and beautiful lines. While she was a sprightly and powerful defender, she never did take the Cup — but her designers Dykstra Naval Architects have optimised her design, and all she needs is for the right owner to bring her back to the life at HJB. HJB also has the rights to build the previously unbuilt J Class yacht J9. Frank Paine drew the yacht as a defender for the last America’s Cup to be held with Js, but she was never built. Hoek Design has now carried out extensive research, which means if and when J9 is built, she is will be a contender on the racecourse and then some. Beauty, racing brawn and technological brains combined? J Class yachts really have it all. “Apart from their obvious beauty and power under sail, they represent the apogee of technological achievement in their time,” says Mike Horsley. While the J Class yachts appear as classic beauties now, they were boundary-pushing creatures in their day, even incorporating early aircraft design. “Owning a J Class yacht is the best medicine for someone with a passion for classic sailing yachts, both cruising and racing,” says Thys Nikkels, managing director of Dykstra Naval Architects. The J Class yachts are also proven ocean-goers and many have comfortable, luxurious interiors, making them far more welcoming for long voyages than a modern, flat-out racing yacht.